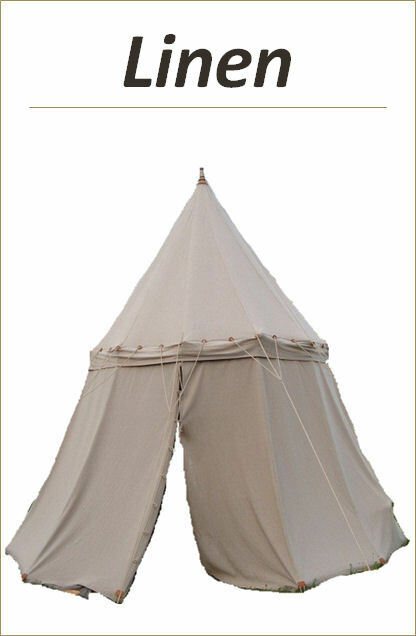 This tent is based on original one that you can see in Swiss muzeum in Basel. It has no spokes but single central pole. Basel tent is dated for 17th century but its apperance is similar then models seen on medieval ilustrations. 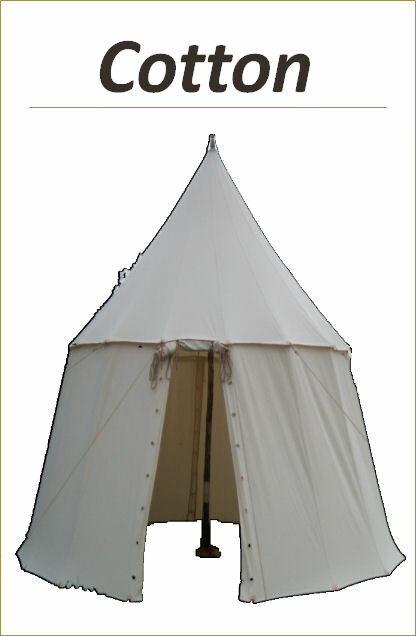 This tent is very convenient as it takes small space in transport and needs just single pole. The price includes all transport sacks, ropes, handforged steel pegs, wooden pole and 3 additional storm ropes. Wooden pole is not painted or stained it is just covered with impregnation against mould and bugs. Price for 1 meter length. There 5 types of merlon used in tents that have such an option. Any other than regular is available with additional, each time individualised surcharge.